Syrian President Bashar al-Assad has warned US-backed Kurdish forces he would not hesitate to use force to retake the third of the country they control. 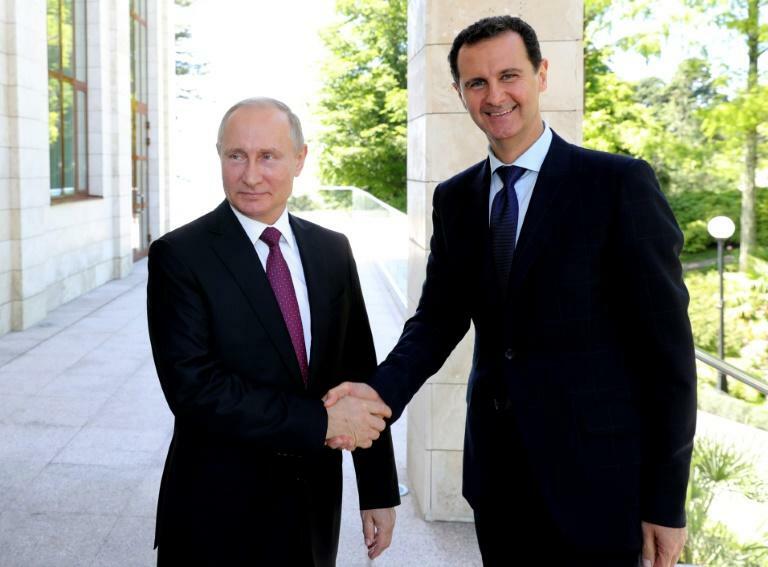 "The only problem left in Syria is the SDF," Assad told Russia Today in an interview aired Thursday, referring to the Kurdish-led Syrian Democratic Forces which has spearheaded battles against Islamic State group (IS) jihadists. "The first one: we started now opening doors for negotiations. Because the majority of them are Syrians, supposedly they like their country, they don't like to be puppets to any foreigners," Assad said in English. "We have one option, to live with each other as Syrians. If not, we're going to resort... to liberating those areas by force." The Kurds in oil-rich northeastern Syria have long pushed for increased autonomy in their heartland but Damascus has insisted it intends to reassert its authority over the entire country. "It's our land, it's our right and it's our duty to liberate it," Assad said. "The Americans should leave. Somehow they're going to leave." The SDF, dominated by the militia of a self-proclaimed Kurdish autonomous administration, has air support from the US-led coalition against IS and backing from US and French special forces on the ground. Still, the SDF is a local force, said spokesman Kino Gabriel. "We're a Syrian force par excellence, not a toy in the hands of any side -- internal or external," Gabriel told AFP on Thursday. Gabriel denied negotiations between the government and the SDF. He declined to comment on how the alliance would respond in case Assad attacked Kurdish areas, and there has been no other statement from the SDF's military command. Colonel Sean Ryan, spokesman for the US-led coalition, also did not specify how the body would react to such an attack. "The SDF has done an amazing job helping get Daesh off the battlefield and they should be commended, not threatened," he told AFP on Thursday, using the Arabic acronym for IS. Both the SDF and Russian-backed Syrian troops are engaged in separate operations against IS in east Syria, creating a highly volatile situation, where de-confliction mechanisms have already been tested several times. The SDF has clashed with Syrian regime fighters on the ground, and the coalition has bombed government forces and their allies on multiple occasions. Assad said a confrontation between Russia and US forces over Syria had also been narrowly avoided. "We were close to have direct conflict between the Russian forces and the American forces," he said. A US-led wave of Western missile strikes on Syrian government targets across the country last month raised fears of a Russian response and full-blown internationalisation of the conflict. More strikes by US ally Israel have further raised fears that the devastating seven-year war could still escalate. Israel has said it is targeting military infrastructure run by its archfoe Iran, which has been Damascus's other key ally in the conflict. But Assad denied Tehran had any active troops in Syria: "The most important fact regarding this issue, is that we don't have Iranian troops." "We could not hide it, and we would not be ashamed to say that we have. We invited the Russians, we could have invited the Iranians," he told RT. 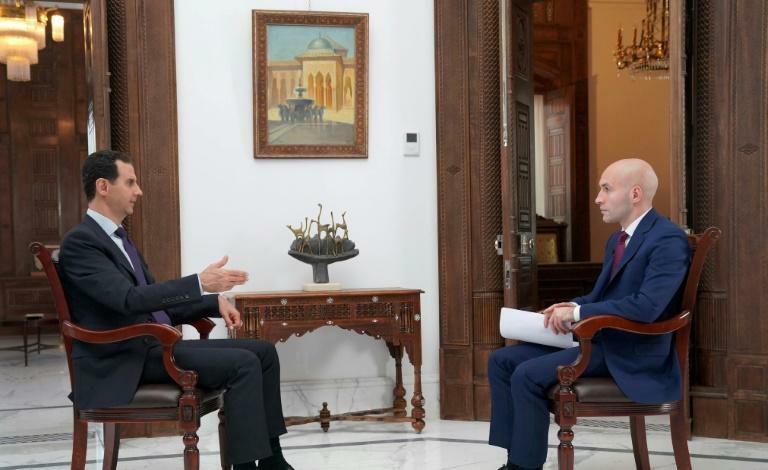 Assad said there were Iranian officers working alongside the Syrian army, but that they were not combat troops. The Syrian Observatory for Human Rights, a Britain-based monitoring group, has repeatedly recorded Iranian deaths in Syria, including in Israeli strikes. Syria's army has been bolstered by fighters from Iran, Iraq, Lebanon and local militias, but it was Russia's vast 2015 military intervention that turned the tide in Assad's favour. He has since reconquered large parts of the country with a mix of military pressure and "reconciliation" deals, which he touted again on Thursday. "You have to open the doors and you have to distinguish between different kinds of people," he told RT. 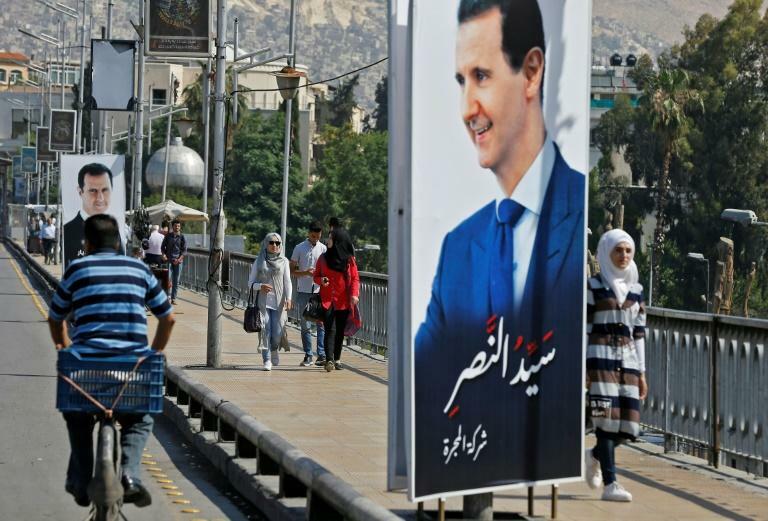 "The majority of the people who were against the government... in the different liberated areas, actually in their hearts they are with the government," Assad said. "They could tell the difference between having a government and having chaos." Syria's conflict broke out in 2011 with protests calling on Assad to step down, but it evolved into a brutal conflict that has left more than 350,000 people dead. The Observatory said Thursday that coalition air strikes on an IS-held village in east Syria had killed at least eight people, three of them children.